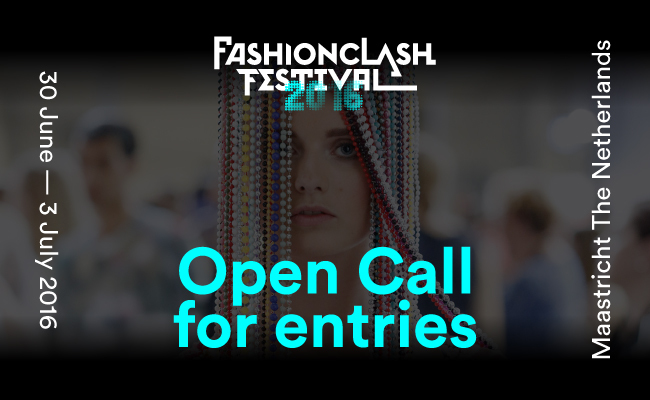 We are happy to invite you to sign up for “FASHIONCLASH Festival 2016". 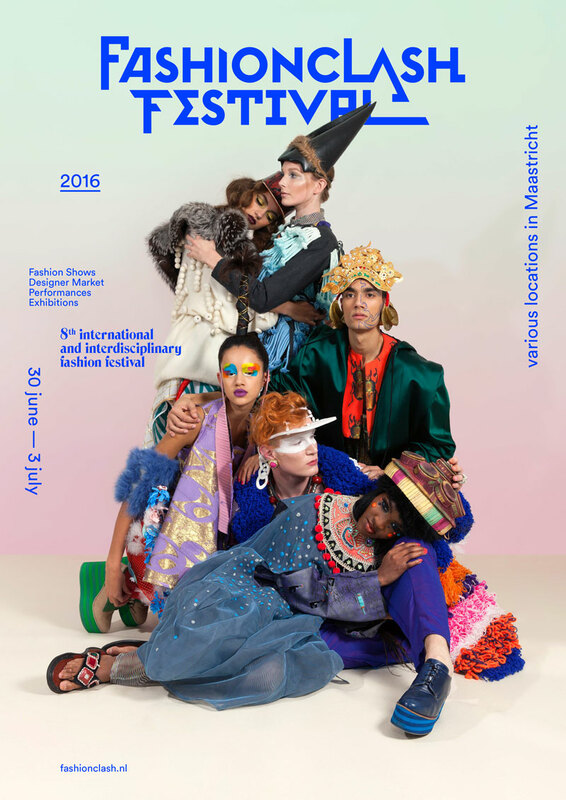 The 8th edition of the international and interdisciplinary fashion festival takes place June 30 - July 3 at in Maastricht (the Netherlands). FASHIONCLASH Festival 2016 Open Call is open to new generation designers, artists and all ‘fashion’ related work. We are welcoming all your proposals and suggestions. The festival is composed of a general program and a theme related program. For this edition the theme is ‘HERITAGE’. FASHIONCLASH Festival 2016 looks to the future along the theme of ‘heritage’. Like no other fashion knows how to renew itself again and again by creating a new atmosphere each season, using the past as an infinite source of inspiration and by selling and presenting the past as the new future. Designers look back to the past but also dare to speculate about the future. From this perspective designers are shaping the future of the shape of things to come. What is the role of our cultural heritage in a constantly changing world? How are new generation designers dealing with their cultural heritage (ancestry and traditions) in a globalized world where everything seems to be reachable and in which fashion is dominated by Fast Fashion chains and mass-production? Where do you come from, where do you go? FASHIONCLASH Festival (FCF) is an inspiring 4-days fashion festival with fashion shows, exhibitions, performances, lectures, workshops and parties staged at various locations in Maastricht. FCF shows the art of fashion in the broadest sense of the word. The festival aims to provide a fertile platform where a new generation of designers and artists from various disciplines get the opportunity to present their work to a broad and diverse audience, national and international press, industry leaders, etc. For the second time there will be an award for the most promising designer/collection presented. The winner will receive €1.500 and a spot on FASHIONCLASH Festival 2017. Furthermore there is the KALTBLUT Magazine Award and also a possibility to win participation at one of our partner fashion weeks (ModaLisboa, FashionPhilosophy Fashion Week Poland, Serbia Fashion Week). Since the first edition in 2009 more than 900 talents from 50 different countries have joined FASHIONCLASH Festival and were given the opportunity to show their talent and work. Some of their careers really took of from there! Take a look at fashionclash.nl for impressions of previous edition. Deadline for submissions is 1 March 2016! However we still accept submissions before March 4th if you indicate that we can expect your entry.